ExxonMobil, the Michael Jordan of climate change denial, was supposed to have quit the game. In 2005, Mother Jones reported that the oil company had pumped $8 million into more than 40 think tanks, media outlets, and consumer groups that questioned the existence of climate change. 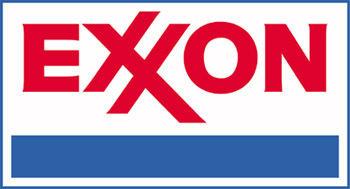 In 2007, new CEO Rex Tillerson announced that the company would try to “soften” its dirty image. A few months later, it pledged to stop funding groups “whose position on climate change could divert attention” from the need for clean energy. In 2008, ExxonMobil also gave more than $100,000 to the Atlas Economic Research Foundation, which supports overseas groups that often oppose action on global warming. Atlas’ websites in 14 countries translate and syndicate stories and videos such as a recent interview about “Climategate” with the Cato Institute’s resident global warming skeptic, Patrick Michaels. In addition, it has supported more than 200 libertarian think tanks in countries including Spain, China, and Ghana. In the lead-up to Copenhagen, more than 76 think tanks in 48 countries signed its petition against “Green Protectionism,” creating the impression of a global grassroots movement opposed to action on climate change. Since 1998, ExxonMobil and its foundations have given Atlas nearly $1 million. UPDATE: Media Maters itemizes Exxon’s extensive donations to groups that have trumpeted the overblown ClimateGate affair.